Heading to an interview can often be a nerve-wracking experience, but if you prepare ahead of time and have already planned out your answers to some of the most common questions you will be less anxious and prepared to go in there and get that job! Not all questions will be the same but most employers ask questions along the same lines so that they can learn particular things about you and decide whether you are the right person for the job. Sometimes employers will hire recruitment agencies such as One Key Resources to do their interviewing for them, so you won’t actually be talking to your employer until you get the job. 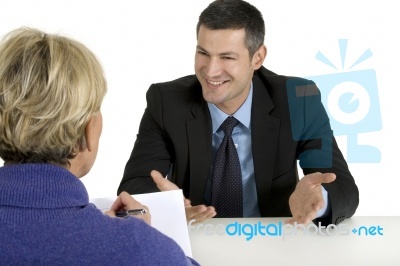 Here are 5 of the most common interview questions that you might be asked. When an interviewer asks you this question they don’t want to know too much about your personal life and they definitely don’t want to hear that your boyfriend just dumped you, or any other dramas. What they are really asking is give me an overview of who you are professionally. This question is generally asked at the beginning of an interview, basically to get a broad background before they go into the specifics about who you are. This is your chance to talk yourself up and tell them about all the skills you have that will make you the best person for the job. Its time to tell them what a great communicator you are and how you are a team player and what you will bring to the workplace as an employee. They want to get a picture about how you will fit in with the rest of the team. Firstly, be positive, even if you feel you were treated unfairly. Make sure you reframe everything about your last position in anupbeat way that shows that you hold no grudges and that you understood whyyour employment needed to come to an end at that time. Talk to your interviewer about your previous job in the same way that they would want you to be talking about their workplace when/ if you leave their company, should you be successful. What problems and challenges did you face in your last position? This is an opportunity for you to demonstrate that you were able to overcome challenges. Prepare for this question by thinking about situations or challenges that you faced in your last job and how you overcame them. Show them that you are a good communicator and that you were a team player in your response.